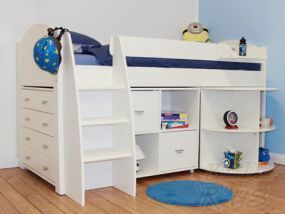 Midsleepers are becoming more and more popular with children and young teenagers. 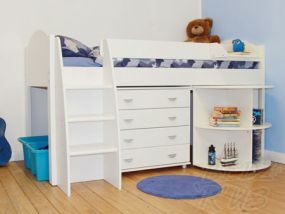 Essentially they are a raised bed with a ladder and many have extra functionalities and options to utilise the bed as a sleep and living station. 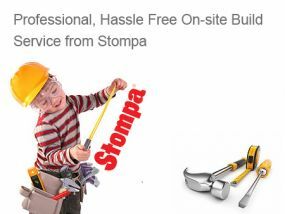 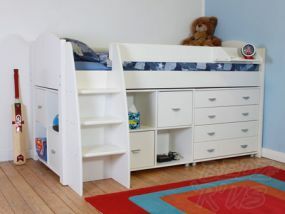 We stock three main types of Stompa Midsleeper; Rondo, Uno and Play ranges. 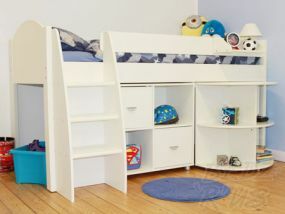 Midsleepers are great for kids who are starting to gather more belongings and want their own space and storage areas.